Out and About is now bigger in size! All book advertiser can advertise on our Voucher code site for Free! 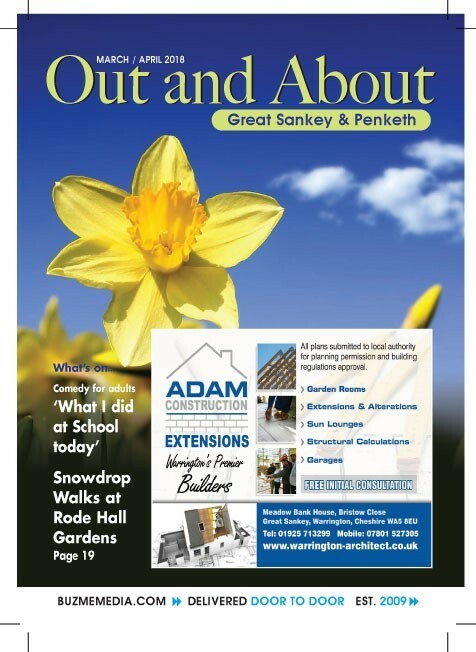 OUR OUT AND ABOUT PUBLICATIONS We cover a wide area of Warrington at fantastic rates! 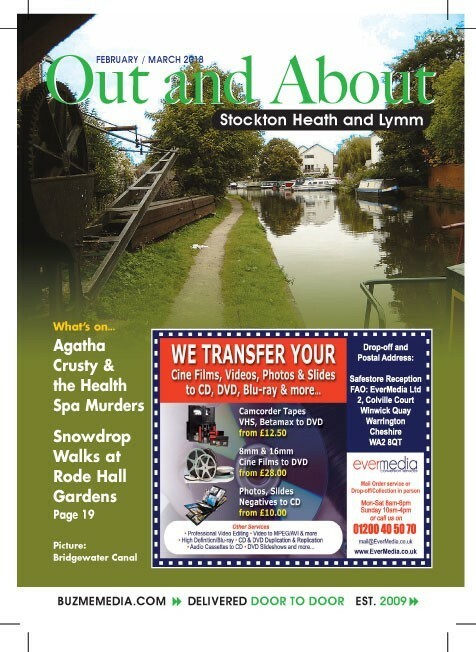 Local advertising to Stockton Heath and Lymm, this edition is distributed door to door and placed at selected drop off points at local businesses. We distribute to selected local home in Stockton Heath, Lymm, Grappenhall and the Thelwall area. Due to our production quantities, we cannot deliver to every home, but we do try vary which street receive them. Local advertising Great Sankey and Penketh, this edition is distributed door to door and placed at selected drop off points at local businesses such as Co-op food stores. We distribute to selected local home in Chapelford Village, Great Sankey and Penketh area. Due to our production quantities, we cannot deliver to every home, but we do try vary which street receive them.